Over the last few days I have had a very strange experience. Like most people who have been driving for years I have become totally oblivious to advertising posters. You are so focussed on the business of driving and concentrating on the road it as if the posters are not even there. I think it was about last Thursday I was driving down the Shore road when this advertising poster suddenly just jumped into my mind as I passed by. It was on a bus shelter and it seemed to be bright red letters on a black background. It was almost as if it hypnotised me to look directly at it. On my return journey I noticed another poster with red letters a black background and some guy standing in the middle of the poster but I passed by it so quickly I did not get a chance to read the letters. A few days later I drove past another similar poster and I was able to make out the letters, it said FRANK HOLIDAY. So I started looking up the internet to see who FRANK HOLIDAY is and I found no information, I also tried to find advert images to see if I could spot the advert but that was a zero as well. This morning I went out early to a Tesco store and there happened to be a bus stop beside the store with the poster I was looking for on it. 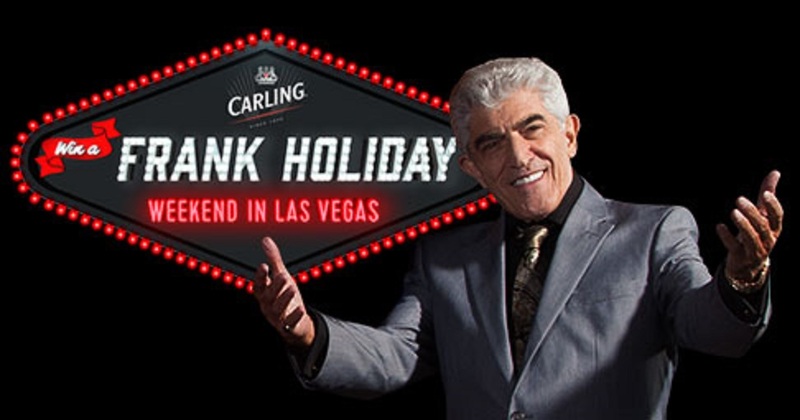 It turned out to be an advertisement for beer and the bright red letters I saw saying FRANK HOLIDAY are actually white but there is a red neon light border around them. I wonder if the advertising poster was based on some sort of optical illusionary design? Or is the poster designed in such a way that it creates a subliminal messaging effect? A few moments ago I discovered one of the adverts online. If you had asked me a few days ago to describe the main letters I had seen on the poster I would have been absolutely 100% certain they were bright red but as you can see they are definitely white. Just in case you are wondering why I don’t know about these posters or who Frank Holiday is, the answer is very simple. I do not have a TV in the house and I do not watch TV so when it comes to matters like this I am out of the loop. Quite often I read about some famous person and I have no idea who they are, I have to look up wikipedia to find out. I did not even know who George Clooney was until about 2 years ago. I only found out when the guy who runs the Ulster Chess Union played a very clever April Fool trick. He concocted this story about some movie actors called George Clooney and Jessica Alba, by the way I had never heard of yer woman Alba before either, and he said they were coming to N.Ireland to film some movie. He also said they would be here when the Ulster Chess Championship takes place and the two of them were Chess fanatics and they had contacted the UCU to ask if they could play in the tournament! So the Ulster Chess Union had to call a very special meeting and have a special vote on the matter to see whether the members would allow them to participate or not. Naturally the special meeting was to take place on the first of April! Apparently the whole thing became quite serious and quite a few MSM people were caught out. I think it became so serious the originator of the prank started to become panic-stricken by the whole scenario! Mind control is a very interesting business. If you ever get time there is an interesting book worth reading, though it is also quite chilling. 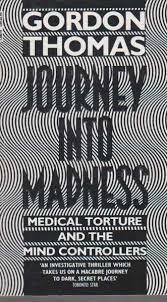 JOURNEY INTO MADNES by Gordon Thomas.